Mirena Lawsuits a Waste of Time and America’s Taxpayers Money! Courtesy of CABIRI – Consumer Advocate Business Research and Investigations – For All Mirena & Nexium Lawsuits you may want to email us after reading this article, there’s much more shocking information for all Nexium cases to also be solved! Why are Mirena lawsuits in litigation? All cases should be settled immediately! Mirena cases are in litigation, when the same exact facts had already been proven; in the Yaz, and Yasmin lawsuits! Let’s talk about facts and why the U.S. Supreme Court, lawyers, judicial teams are wasting American citizens tax paying dollars and time with Mirena litigations! When the case has been previously won! Hold Bayer AG of Germany accountable immediately for affecting women with a toxic, misleading, IUD’s, and birth pills, which releases dangerous chemicals inside their human body’s causing internal havoc in their lives! Facts: Bayer AG set aside $496 million euros, and then increased their super – fund to $610.5 million to cover expenses, which part of the increase was only to cover their legal fee’s their insurance wouldn’t cover. 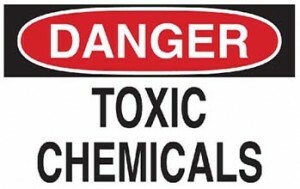 Thousands of women lives were altered by Bayer AG or their previous subsidiary’s Schering AG & Berlex Corporations, Their chemically toxic concoction of Yaz and Yasmin, impacted 12,050 women lives! In the settlement negotiations the Germany based corporation caught a lucky break with the U.S. judicial system settled approx. 1,877 Yaz and Yasmin cases filed. Hypothetically speaking let’s say Bayer settled 2, 000 cases @ 212,000 per case, this still leaves 10,000 unresolved cases of women impacted by Yaz and Yasmin, which 6,000 of the 10,000 unresolved cases filed had the same side-effects and nightmares as the women with settled case. One would have to acknowledge 10,000, is a considerably large number of women’s lives at risk who were affected by the same chemical toxin, which took 50 reported women off the earth, cited by the FDA and the remaining 2,000! Imagine with these cases filed alone, this would of Wiped out 12,050 women in the United States. Note: Both yaz and yasmin pills and Mirena Iud use a newer type of progesterone hormone called drospirenone in combination with estrogen. Bayer AG’s Yaz, Yasmin and Mirena Iud has the same new life-threatening dangerous synthetic hormone chemical inside of it Drospireone, along with progesterone which all three birth controls contained. The cases were heard and proved in the U.S. District Court of Southern Illinois, with the approval of the Food and Drug Administration, who all reported that the synthetic (fake) hormone Drospireone is dangerous and life-threatening, causing deaths and horrific life altering side-effects, diseases, strokes, blood clots, and the list goes on. Let us not forget Bayer AG’s unethical business practices by launching their multi-billion dollar misleading Mirena marketing campaign fooling millions of women their product, the Fda’s 2009 Warning letter, and their counterfeit unapproved Iud’s that have been hidden from the public knowledge. Again, one would think when a recent Birth Control Lawsuit has already been proven once in a court of law, and a new similar lawsuits pops up shortly after with the same company Bayer AG, you’d think the courts, law firms and judicial teams would see the connection between the two cases, it’s a “No Brainier,” all the cases have the same toxic synthetic hormone in them, the only difference between the two cases is Yaz and Yasmin are in pill forms, and Mirena is a IUD, which is inserted inside the human body with all of a women’s major vital organs women need too survive! Now let’s go back to the company previously mentioned above the Berlex Corporation which is now in the hands of Bayer AG. The company roots stem back from the early mid-19th century in Berlin, Germany. Berlex was officially formed in 1979 by Schering AG of Germany, after purchasing portions of U.S. Cooper laboratories located in Montville, N.J. and a portion of U.S. Knoll laboratories in 1972 Schering AG formed Berlex Corp. of Germany. Schering AG of Germany and their newly formed business or one could say Schering AG 2nd, just with a different name. Berlex and Schering AG were the top two companies in the early 1900’s to gain business access back into the United State’s by marketing their new drug called the “Pill,” or birth control. Schering AG was well known for inventing the Pill in the 1950-60’s era which gained Schering AG access back into the European and United State’s pharmaceutical markets in the 1970’s and became quite wealthy. Several decades later in 2007, Berlex Corporation and Schering AG were rolled into Bayer AG to become Bayer Schering Pharma, which was again changed in 2011 to a another new name Bayer Pharma. Once formed, Bayer AG immediately started marketing birth control since it was a previous big hit for several decades for the German Schering AG and Berlex currently bringing in astronomical profits for Bayer AG or Bayer Pharma. Are women taking the same birth controls pills Schering AG originally invented then passed onto the Berlex corporation, who has passed the same outdated pills to Bayer AG of Germany! Coincidentally, Bayer AG, (Schering AG & Berlex) all were based out of Germany, which concludes Yaz, Yasmin and Mirena has been in the German pipeline for several decades along with Levlen and Trivlevlen birth control pills Berlex launched in the 1980’s. How truly old is Mirena Iud, Yaz and Yasmin? This should be very disturbing information for all Women of the United State’s, involved in Mirena, Yaz or Yasmin lawsuits with the German Drug makers, Schering AG – Berlex – Bayer Pharma – Bayer AG! Every Woman reading this article should demand the U.S. government, U.S. Supreme Courts and District Courts and your attorney’s to stop allowing German based companies to call the shots in America, and settle all Mirena cases immediately! There is no need to extend an already proven court case into 2014 and waste more American taxpayer’s money on international corporation’s faulty drugs and products. Enough is Enough! Honor American Women they are human beings not guinea pigs to try out new chemicals on respect their life and give them and our country Justice!! The case is In re Yasmin and Yaz (Drospirenone) Marketing, Sales Practices and Product Liability Litigation, 09-md-02100, U.S. District Court, Southern District of Illinois (East St. Louis).